U.S. Air Force (USAF) B-1B strategic bombers could be heading to South Korea today and drop live bombs at a local range. According to The Korea Times, the exercise is in response to North Korea’s recent testing of an intercontinental ballistic missile (ICBM). Noteworthy the B-1B Lancers, which are currently deployed at the Andersen Air Force Base (AFB) in Guam in support of U.S. Pacific Command’s (USPACOM) Continuous Bomber Presence (CBP) mission, have been dispatched to the peninsula several times recently and the Republic Of Korea Air Force (ROKAF) has conducted regular exercises with them ― generally after a provocative military action by the North. 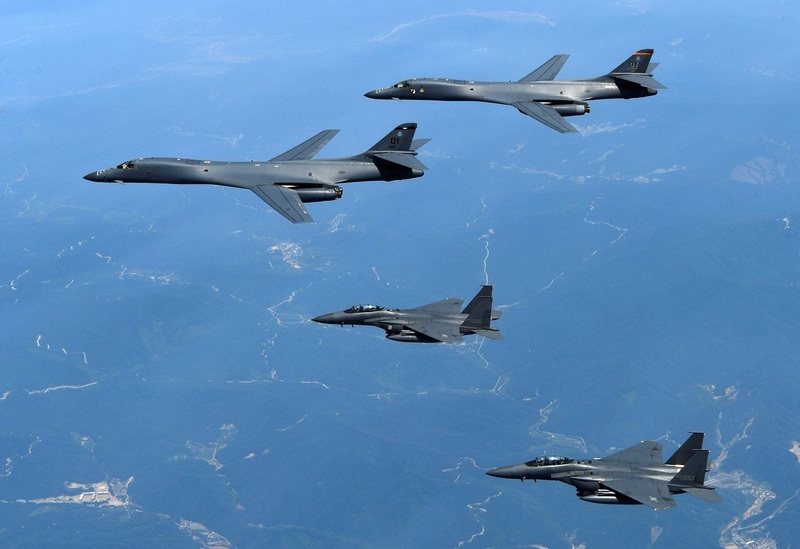 “B-1B strategic bombers plan to fly here as early as Friday and if the weather permits, are highly likely to drop live conventional bombs or guided precision munitions in the drill,” a source told to The Korea Times. Moreover according to the same source, the U.S. may send more strategic military assets to the peninsula to counter the North’s missile threats. One day after the North tested an ICBM, Seoul and Washington launched ballistic missiles in a joint drill. This was the first time that the allies fired ballistic missiles in reaction to a North Korean provocation. The B-1Bs have been dispatched to South Korea twice a month on average amid rising military tension on the peninsula. The latest show of force performed by the Lancers took place on Jun. 20 after the death of Otto Warmbier, an American college student who was released from the North in a coma after being detained for 17 months. 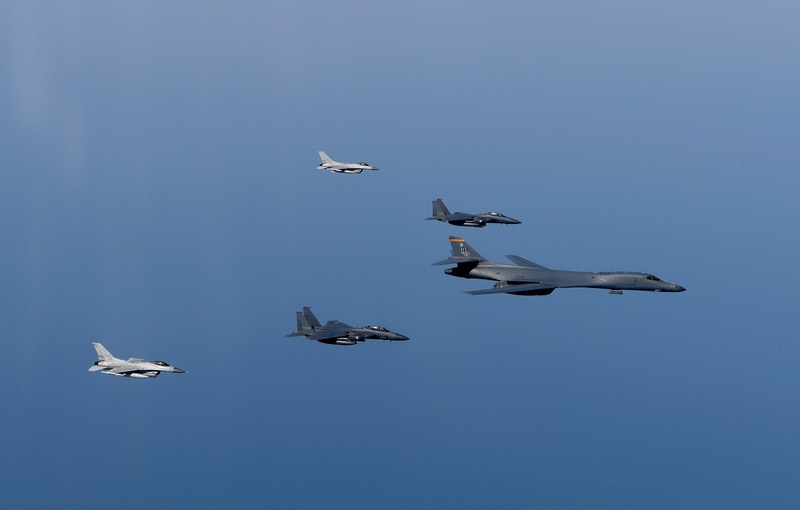 The strategic bombers had already flown over the East Sea five hours after Pyongyang fired a ballistic missile on May 29 and when the took part in a joint exercise with ROKAF fighters on May 1. The B-1B Lancer is capable of reaching the peninsula from Guam in just two hours with a load of up to 56 tons of munitions. It is the fastest of the U.S. military’s three major multi-role, long-range bombers including the B-52 Stratofortress and the B-2 Spirit.